COSSA held its 2016 Annual Meeting on March 15th in Washington, DC. Meeting sessions focused on topics like congressional attacks on federally-funded research, social science and the media, use of social and behavioral science in industry, and how to communicate the value of social and behavioral science research. In addition, participants heard updates on activities at federal agencies, including the National Science Foundation, National Institutes of Health, National Institute of Justice, Environmental Protection Agency, and Bureau of Labor Statistics. Summaries of the meeting’s sessions are below. You can also check out our social media recap, which covers both the Annual Meeting and Social and Behavioral Science Advocacy Day. Thanks to all who attended! We hope to see you back next year. The day’s events began with presentations from two social science researchers who shared their experiences on having their research caricatured in the various so-called “wastebooks” published by members of Congress as examples of wasteful government spending. They were joined by a federal agency official and a Congressional staffer, who shared perspectives on the issue from their unique viewpoints. Lisa Neff, associate professor in the Human and Family Sciences Department, University of Texas at Austin, engages in research on marriage and family relationships and how those relationships develop and change over time. Her project, “Understanding Age-Related Changes in Relationship Maintenance Strategies,” which was funded by the National Science Foundation (NSF), landed in Senator James Lankford’s (R-OK) report, Federal Fumbles: 100 Ways the Government Dropped the Ball. Neff’s research was also lampooned on late night talk shows, where her project was caricatured as a “federal match.com for seniors.” Neff explained that the question at the heart of her research is why sustaining and maintaining a marriage is so hard despite couples’ deep abiding love and commitment for one another. This question matters because various studies have shown that “close relationships have a powerful influence on our mental health, as well as our physical health.” Further, “individuals with good social relationships have a 50 percent greater likelihood of survival compared to those with poor social relationships.” Given that American society is aging, and adults are more likely to be unmarried than ever before, Neff explained that the results of her research could have the potential to impact health care costs. Neil Canfield, of NSF’s Office of Legislative and Public Affairs (OLPA), reviewed the history of similar attacks on NSF research, which date back to the 1960s. Canfield noted that these sorts of inquiries are not limited only to NSF or the social sciences. Nonetheless, NSF has been in the position of defending its funding decisions over the years and relies on its world-renowned merit review process to help tell the story of the ground-breaking research it supports. In addition, the agency launched a transparency and accountability initiative in 2013 as a way to better articulate the value of the projects it supports in nontechnical terms. Dahlia Sokolov, Democratic staffer on the House Science, Space and Technology Committee, echoed Canfield’s remarks, noting that this scrutiny is not unique to the social sciences. Sokolov, a physicist by training, observed that there is an ongoing strategic debate about how best to respond to congressional attacks: by defending NSF’s merit review process in general or by defending the individual grants that are singled out. Sokolov noted that these attacks on research are happening at the same time the rest of the world is emulating the merit review process of the U.S. federal science agencies. She recommended researchers engage when their research is attacked, as opposed to laying low. Noting that some universities have been reluctant to speak up when research is attacked, she emphasized that researchers “owe an explanation to the public,” which can provide an opportunity to set the record straight. The second panel, “In the Looking Glass: Social and Behavioral Science Communicates the Value of Social and Behavioral Science,” shared some of the early results of a project undertaken by the National Academies of Sciences, Engineering and Medicine, with the assistance of the FrameWorks Institute, to identify evidence-based methods for communicating the value of the social and behavioral sciences. National Academies representatives Mary Ellen O’Connell and Barbara Kline Pope discussed the project, “From Research to Reward,” which will consist of a series of narratives about scientific successes that have netted benefits for society. The first series will consist exclusively of examples from the social and behavioral sciences, although narratives from other fields may be used in future rounds. In identifying and crafting these examples, the Academies worked with the FrameWorks Institute, a non-profit social science think tank based in Washington, DC, to test their effectiveness. Nancy La Vigne, American Society of Criminology, led a discussion on the relationship between social science and the media. The panel featured Ted Scheinman, Pacific Standard; Dara Lind, Vox; and Ted Gest, The Crime Report. All three journalists use research findings to inform their reporting of various issues, and they offered advice to researchers who might wish to engage with the press. Lind noted that journalists from online outlets like Vox are essentially always on a deadline, so researchers who can provide a timely response are especially valued as sources. If responding quickly response isn’t possible, she recommended sharing the contact information of a trusted colleague. Gest suggested that researchers build their comfort level with speaking to the press by talking on background. Once they feel more at ease, then they could go on the record. Scheinman noted that while there is a journalistic taboo against allowing sources to approve a finished story (or even sharing the pre-publication text with them), reputable media outlets will generally vet quotes and fact check prior to publication. The luncheon panel featured Bureau of Labor Statistics (BLS) Commissioner Erica Groshen, whose talk was entitled “Privacy, Confidentiality, and Data Security at the Bureau of Labor Statistics.” Groshen discussed BLS’s mission to provide timely, objective data on the labor market and the Bureau’s place in the federal statistical system. She described some of the underlying policies and safeguards ensuring the protection of data and confidential information collected and housed by BLS and other statistical agencies, including the statistical policy directive that ensures data is objective, timely, accurate, and secure; the Confidential Information Protection and Statistical Efficiency Act of 2002 (CIPSEA); statistical agencies’ confidentiality pledge; and robust IT security. While BLS is working to overcome challenges like declining response rates and tight federal budgets, there is also cause for optimism thanks to the promise of big data, increased cooperation with other statistical agencies and the academic world, and a growing and increasingly diverse community of users of federal data. Federal officials from the National Science Foundation (NSF), National Institute of Justice (NIJ), National Institutes of Health (NIH), and the Environmental Protection Agency (EPA) shared updates on research programs and initiatives that support social and behavioral science research at their respective agencies. Fay Lomax Cook, Assistant Director for NSF’s Social, Behavioral, and Economic Sciences Directorate (SBE), discussed the directorate’s annual budget, its cross-directorate initiatives, engagement with Congress, and ways for researchers to be involved in SBE activities. Cook emphasized that SBE supports “basic research and training to create knowledge that improves the future.” This research is very often transformative science that “advances knowledge, drives the U.S. economy, enhances national security, sustains U.S. global leadership, and improves lives.” The President’s FY 2017 budget request for SBE is $288 million, a 6 percent increase, including $16.4 million in mandatory funding for core research programs and to enhance “robust and reliable research (e.g. study design, data-sharing approaches, and analytic techniques).” This also includes supporting research to “replicate and generalize pivotal disciplinary findings.” Additional details on NSF’s FY 2017 budget request can be found in COSSA’s analysis. Cook also mentioned the three “wastebooks” that were released in the last six months, noting steps taken by NSF to respond when the projects it funds are singled out (see related session). Cook outlined a number of ways researchers can get involved with SBE, including by interacting and communicating with SBE program officers directly, sharing notable findings with the agency, writing op-eds about important findings from the SBE sciences, and sharing SBE fact sheets and program solicitations when they are released. These types of activities will help NSF communicate the importance of investing in social and behavioral science research. Nancy Rodriguez, Director of NIJ, noted the many factors that shape her agency’s research activities, including Congressional and Presidential priorities, support for the Department of Justice’s programmatic offices, and the need to develop a cumulative body of knowledge and/or lay a foundation for new research. According to Rodriguez, her priorities as director are to make strategic and scientific investments, rely on multidisciplinary talents, systematically measuring the impact of research investments, develop young scholars, encourage diversity in NIJ’s investments, and expand researcher-to-practitioner activities. NIJ’s Office of Research and Evaluation, which houses the agency’s extramural social science research programs, supports nearly 400 awards totaling about $300 million. Research priorities include policing, institutional corrections, comprehensive school safety, campus sexual assault, and domestic radicalization and violent extremism. Director of NIH’s Office of Behavioral and Social Sciences Research (OBSSR) William Riley shared the Office’s history and responsibilities which include providing “BSSR leadership and coordination for NIH; informing and advising the NIH Director on BSSR; serving as the principal NIH spokesperson for BSSR; assessing and ensuring adequate BSSR support; promoting interdisciplinary, integrated research; and sponsoring meetings on BSSR state of the science.” Riley noted that OBSSR is the midst of a strategic planning process; three stakeholder webinars are planned for April and a final plan is expected to be released in May. Riley shared the guiding principles for the Office’s strategic plan, which include “integration of BSSR into the broader biomedical research efforts consistent with the NIH mission, coordination and collaboration with the institutes and centers, identification of critical challenges that are barriers to advancement in BSSR, and focus on challenges that OBSSR is uniquely poised to address.” Providing an early glimpse into the plan, Riley indicated that its strategic priorities include addressing the areas related to the basic-to-applied pipeline, methods and measures, and implementation and adoption. The plan’s cross-cutting themes embrace communication, coordination and integration, training, and policy and evaluation, Riley detailed. Riley also highlighted the substantial role OBSSR plays in major NIH initiatives, including Precision Medicine Initiative (PMI), Environmental Influences Child Health Outcomes (ECHO), Big Data to Knowledge, National Collaborative on Childhood Obesity Research (NCCOR), and OppNet – Basic Behavioral and Social Sciences Opportunity Network. Similarly, OBSSR has a significant and important role in addressing challenges confronting NIH, ranging from the closing of the Poolesville facility (which conducted non-human primate research), the agency’s recent notice of change in HIV/AIDS low priority research areas, and health economics research outside of the NIH’s interest. 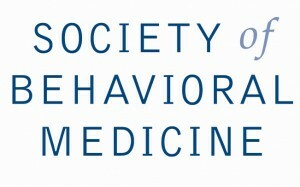 The social and behavioral science community can assist OBSSR in fulfilling its mission, Riley explained, through promotion of rigorous and impactful social and behavioral research, communication of research for the OBSSR to highlight, promotion of the adoption of effective approaches, and communication of both concerns and commendations. EPA’s Senior Policy Director for Innovation and Next Generation Compliance David Hindin discussed the EPA’s current use of social science and its emerging plans for integrating social and behavioral science into the agency’s activities. Hindin explained that EPA is beginning to consider how to “better understand, support, and integrate social science” into its work. According to Hindin, EPA’s regulatory development program “has long used economic cost-benefits analysis” and its enforcement program has “historically looked at deterrence research and findings.” He enumerated the factors that contribute to non-compliance (e.g. big cultural change, complexity and/or vagueness, and lack of awareness, among others) and those that contribute to compliance (such as real time information, market forces, and community engagement). Hindin also listed a series of what he referred to as “next generation compliance research questions,” and provided examples of non-enforcement social science funded work supported by EPA, such as life cycle of nanomaterials, community stressors and susceptibility to air pollution in urban asthma, and assessing the linkage between school-related environment, children’s school performance/health, and environmental policies through environmental public health tracking. The final panel of the day featured representatives from three giants of the tech industry, who discussed the relationship between industry and social science, career pathways into industry, and the need to build stronger partnerships. Ed Liebow, American Anthropological Association, moderated the discussion, which featured Neal Patel, Head of Human/Social Dynamics at Google; Maria Bezaitis Principal Engineer with Intel Corporation; and Joshua Tabak, Research Psychologist at Facebook. Patel noted the paradox of declining availability of academic jobs in the social sciences and declining labor force participation of those with advanced degrees in social science fields, contrasted with the deep need in the tech industry for people with the expertise to make sense of the human behavior driving “big data” trends (i.e., social and behavioral scientists). Tabak discussed his somewhat atypical entry into the tech world, going straight from his doctoral program. He noted that it is often difficult for those without prior tech experience to land a job at a major technology firm, which can be a barrier for social scientists coming from academia. Bezaitis commented on the need for stronger linkages between industry and the academic community, acknowledging that it can be hard for individual researchers to build these relationships on their own. She suggested that professional associations could play a bigger a role in bridging the two communities. View the meeting program and updated supplement. Click here to read about our 2015 Annual Meeting & Advocacy Day.